as well against as a couple of friends. For the record, I always lose. How many flights of stairs can you pull off in a day? 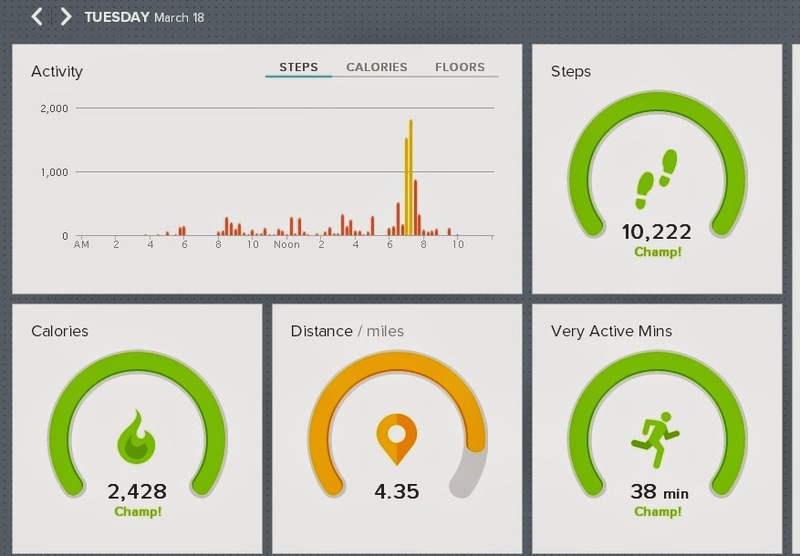 Can you get to 10,000 steps in each day when you sit at a desk for 10 hours or more? These were purchased not for the competition factor though, but to be used as an eye opener. A competition within myself, if you will. In bed for 6 hours and 9 minutes. Actual Sleep time, 3 hours and 30 minutes. Now, of course I have no clue how accurate this thing really is. For all I know, it doesn't even work, but what if it does? Last night...3 hours and 30 minutes asleep. 2 hours and 4 minutes asleep? What would this have shown when we had two babies under 15 months? with only 19 restless minutes. Compared to the 2 hours and 48 minutes I got on Friday night. 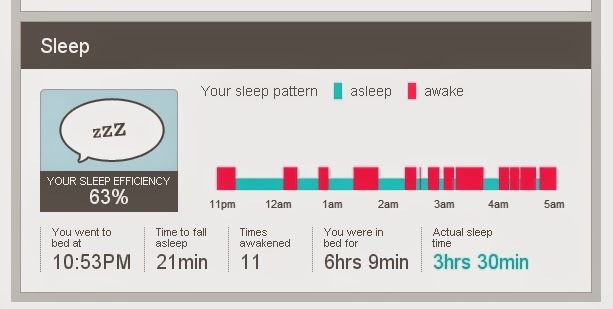 Our Fit Bit Force bracelets were meant to be eye openers for us. I hate to think what this would have liked like a few months back. doing this, that and the other thing. Getting caught up on my pictures, on blogging. You may or may not have noticed things are getting quieter on this here blog. Taking back my time, for one. And our kids are getting older, for another. The other day, our 8 year old googled herself, unbenownst to me. one from her Manic Ceramic 8th Birthday Party. and what not to share. Being a kid is hard enough without parents sharing, and oversharing on their online platforms. I'm not saying I haven't overshared, because I know that I have, at times. But I'm saying that I am making a conscious effort to NOT share too much going forward, about those I love as they get older, as they find themselves, as they come into their own even more than they already have. It's up to me to teach my kids about their online footprint. Footprints that they are ultimately responsible for. It is no longer my place to share everything. I suppose my house should be spotless, no?